GMO promoters enthuse about how GM crops will be able to help the poor and hungry, far in the future, writes Claire Robinson. But they are silent about the currently-planted GM crops – 99% of them herbicide-tolerant or insecticidal. Could it be because opponents of the technology are being proved right at every turn? Insofar as reason and science are concerned, the GMO industry has lost. All they have is golden rice and gene editing. But they don’t even have those. Both have thus far failed to live up to their promises and are kept afloat largely by wishful thinking. Over the course of 2015, I became convinced we’re winning the GMO debate. What did they say to convince me? Here’s a quick guide. Dr. Shanta Karki studies rice plants being grown at IRRI’s Biotech labs, which have worked on the development of Golden Rice. From the image collection of the International Rice Research Institute (IRRI) on Flickr (CC BY-NC-SA). Monsanto was cast as the prime villain for seeking to import GM soya into Europe … Certainly the industry remains unpopular in some quarters: Monsanto in particular is still seen by activist protesters as a large and visible target. So, the GMO enthusiasts say, we should forget about Monsanto and embrace ‘public good’ GMOs instead. The problem with that is in the real world it is Monsanto that is the dominant force in the marketplace. In any case it makes little difference whether it’s Monsanto or a public research institution that owns the patent on a GMO. The profit motive rules either way and takes precedence over issues of public health, the environment, and scientific integrity. They talk about the rapid decline of the monarch butterfly due to its main food plant beingwiped out by the Roundup herbicide sprayed on GM crop fields. They point out thatRoundup stands accused of causing birth defects and cancer in Argentine people and of being a ‘probable’ human carcinogen. They even show the uninspiring vision of what’s in the GMO commercialization pipeline: GM crops that tolerate being sprayed with even more herbicides – and potentially more toxic ones at that. They can talk about all these things. But it will be a one-sided conversation. Because in spite of the ubiquity of these GM crops in those countries that have adopted GMOs, GMO promoters don’t want to talk about them. At all. Gene editing, which they say will save GM technology from its old problems of imprecision and unpredictability – problems that until now they have always sought to deny! The take-home lesson is that this technology is too fragile to survive the transparency that’s increasingly being demanded by consumers. And non-GM breeding continues to outstrip GM in supplying safe, nutritious, and high-performing crops that thrive in a wide variety of conditions. That’s despite the fact that GM keeps being pushed at the expense of approaches that we already know work! GMO lobbyist and climate science denier Patrick Moore made history last year by getting caught on camera telling a journalist he’d be happy to drink a glass of Monsanto’s Roundup herbicide – and then running away when the journalist offered him a glass. If you’re not impressed, you’re not alone. Since his refusal to walk the pro-GMO talk and his irresponsible promotion of a toxic herbicide as a beverage, other GMO promoters have started to view Moore as an embarrassment and a no-go topic for discussion. Likewise with Kevin Folta, a pro-GMO scientist with a massive social media presence whomade the fatal error of not telling the truth about his links to the industry. Folta retains a circle of vicious online defenders. But people who have attended public meetings where he has appeared tell us that he has lost credibility even among GMO supporters. Our conclusion about the state of the GMO debate from studying the best arguments that the GMO lobby can muster is this. Insofar as reason and science are concerned, they’ve lost. All they have is golden rice and gene editing. But they don’t even have those. Both have thus far failed to live up to their promises and are kept afloat largely by wishful thinking and ‘forward-looking statements’, as Monsanto likes to call them. 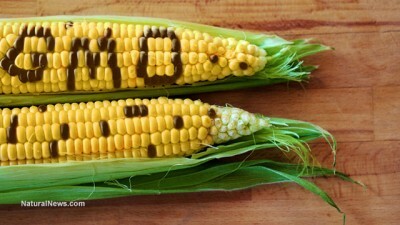 The US government was the first to embrace GMOs – but American consumers are rejecting them in droves. In 2014, non-GMO foods and beverages generated $200 billionin sales and the total global market for non-GMO products is predicted to almost double by 2019. And Campbell’s, the world’s largest soup company, has just announced that it will label GMO ingredients in its products in the interests of transparency. In Brazil, after the WHO’s classification of glyphosate as a ‘probable carcinogen’, the national cancer institute blamed GM crops for placing the country in the top ranking globally for pesticide consumption and called for a massive shift to agroecological farming. GM Bt cotton in India and Pakistan is increasingly in meltdown. In the Philippines, a Supreme Court ruling has put a stop to GMO field trials and approvals. Since the Philippines is the country targeted for GM golden rice, one of the GMO lobby’s great hopes for the future now faces an extra obstacle. The GMO food venture appears to be at death’s door – unless gene edited foods are exempted from labelling. If they are, these ‘hidden GMOs’ could lead to a collapse of consumer confidence in the food market as a whole. Is the food industry willing to take a bullet for the GMO industry? Probably not – but citizens will have to make a lot of noise to ensure that this attempted deception doesn’t succeed. So when it comes to Vivian Moses’s claim today that « Supermarket opposition has softened in the UK » and that « much of the European public has become bored with the issue », it’s up to us to prove him wrong.